Driving under the influence of any drug, anywhere, is no joke. Alcohol and weed slow a driver’s reaction time, and speed and coke can impair a driver’s judgment in all sorts of ways — not least of which by only temporarily masking fatal levels of exhaustion and sleep deprivation. But when an impaired driver happens to be behind the wheel of, say, a 100,000-pound semi, that pushes the danger to another level. In the past, much of the drug-related focus in the trucking industry involved either alcohol or the use of various stimulants by drivers. Yet, we are now seeing significant numbers of another drug putting lives in danger on the highway — prescription opioids. In the past, I’ve written several times about health problems among commercial truck drivers. The rates of many chronic problems such as obesity and diabetes are higher among truck drivers. The sedentary work coupled with poor sleep and bad food choices on the highway create problems for trucker health. Many truckers face chronic health issues like painful arthritis or painful back conditions. Those issues often create safety risks for the public. 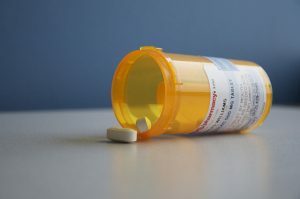 Last week, the Department of Transportation (DOT) proposed a new rule adding four opioids to the panel of drugs screened in truck drivers. These additional opioids are: hydrocodone, hydromorphone, oxymorphone, and oxycodone. Opioid drugs like hydrocodone and oxycodone are commonly abused opioid pain medications. 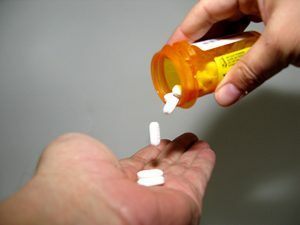 Local pill mills (medical clinics that over provide these dangerous pain pills to patients) have recently closed in both Huntsville and Decatur. In the Huntsville case, a physician recently lost his medical license and pled guilty to crimes involving his activities. When abused, these drugs cause tremendous devastation. Even when the patient is properly taking these medications for chronic pain with a valid prescription, they can create safety risks. I think the DOT should add these drugs to its drug panel. I’m not saying the presence of any amount of legitimately prescribed pain medications should automatically disqualify a driver. But, it should raise questions which need to be answered. The presence of these drugs should be known and should warrant additional medical information from the prescribing doctor in order to evaluate and insure the commercial driver is safe for the public. We simply cannot allow impaired commercial drivers to put families at risk on the highway. At the Blackwell Law Firm, we are committed to highway safety. We frequently discuss driver safety topics such as distracted driving, impaired driving and vehicle safety.